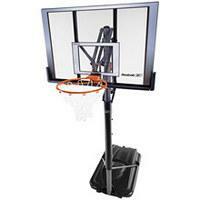 Reebok 51560 portable basketball systems Include a Free Pole Pad with Reebok Logo! System replaces Lifetime 71661 basketball system on our website. Q: Lost manual. Need to get one so I can put together. Can I download one on line? manual you can find and download one online. Q: How can I obtain a manual for this product? Dimensions: 50" x 34" x 10"